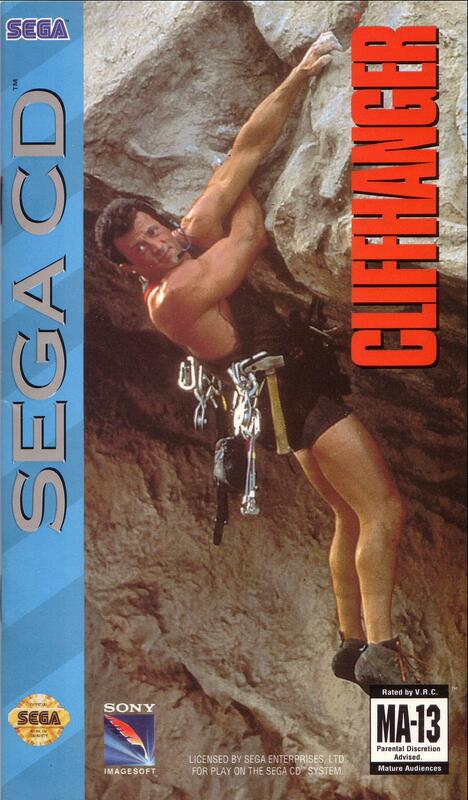 OverviewLoosely based on the Sylvester Stallone action film, Cliffhanger is a side-scrolling beat-em-up with unbelievably frustrating jumping segments. 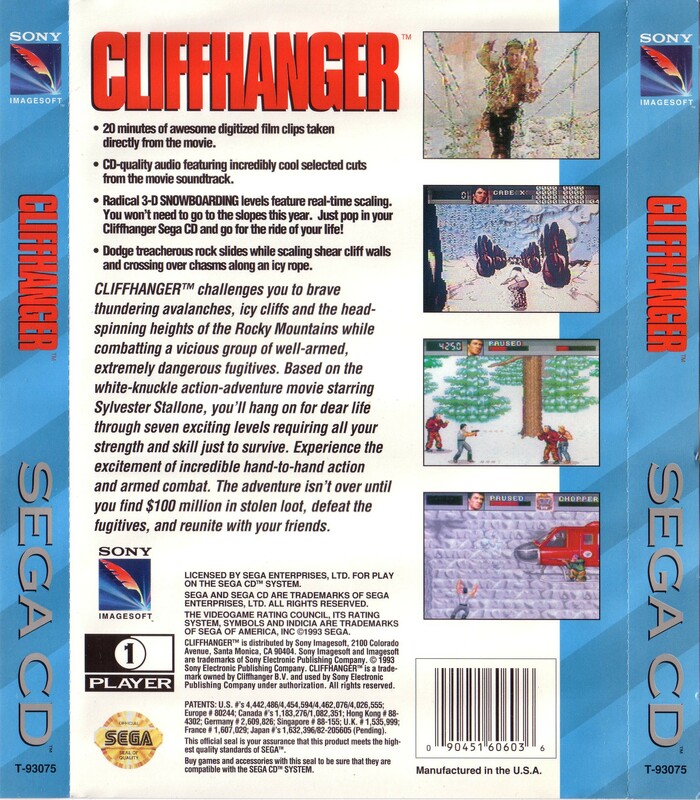 Cliffhanger is a 2D beat em up based on the movie of the same name. Players control Gabriel Walker as he fights a series of thugs through levels based on the movie. The game plays like your average beat em up and has some similarities to games like Streets of Rage and Final Fight. The player can punch, kick, block, and jump. There is also a special move that costs health to use, but can help get enemies off you when surrounded. There are weapons to pick up as well such as knives and guns. 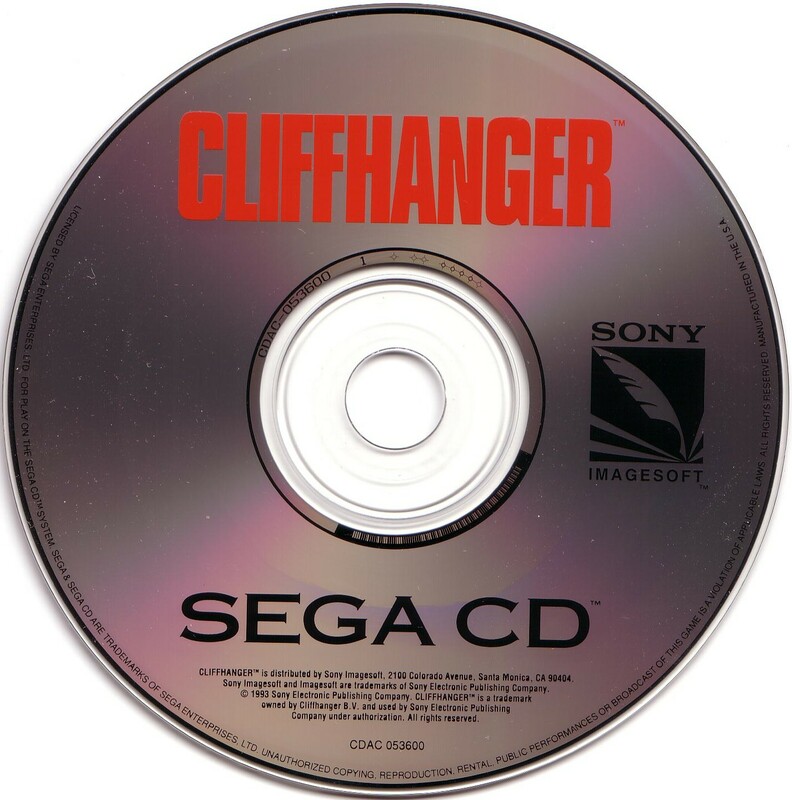 The game has some mild platforming sections, rock climbing, and chase sequences that help the game stand out, but the gameplay isn't very innovative otherwise. The controls, enemy variety, and collision detection isn't on par with the games it's emulating, but the game is average all things considered. 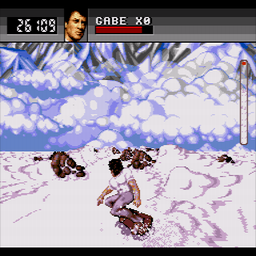 The Sega CD version has 3D snowboarding sections the other versions lack. Now you can add videos, screenshots, or other images (cover scans, disc scans, etc.) 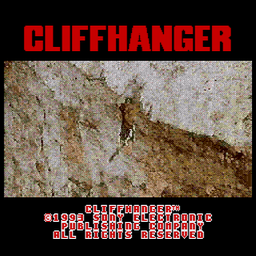 for Cliffhanger (U) to Emuparadise. Do it now!